A 60 minute immersion lesson followed by a communal snack for children pre-school to Kindergarten and early elementary. 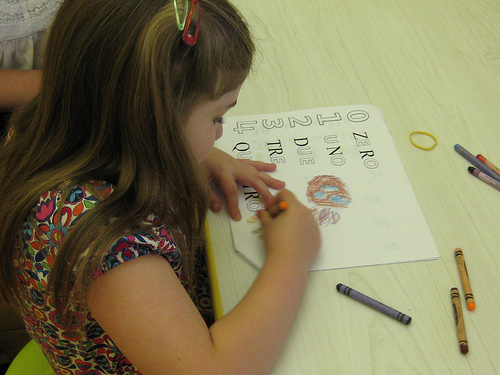 Students will prepare for reading and writing: they will become familiar with the sounds of the Italian alphabet, vowels and syllables; they will develop vocabulary and oral communication skills through interactive songs, stories, games and imaginative play; they will gradually write letters and short words. Students will use the "Raccontami 1" textbook and a series of workbooks developed by Anna Maria Jaker for the course of the two to three year cycle. The workbooks are included in the tuition, but the textbook should be purchased by parents before the first day of class. Used books may be sold and/or purchased through the ICC forum. No classes on Sunday October 19 (MN Education Conference) and Sunday November 30 (Thanksgiving).